Used for construction, window installation and cleaning, mechanical contracting, painting, and industrial maintenance. 360 degree platform rotation for easy positioning and self-leveling platform. 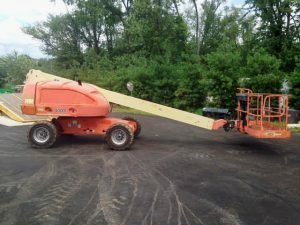 Booms can be raised,lowered and extended horizontally while the platform remains straight and stable.You can maneuver and steer in any direction even while the platform is extended. Platform (basket) is most often 6 or 8 feet wide. A rotating jib for precise positioning is available that provides time savings by not having to raise and lower the entire main boom arm. 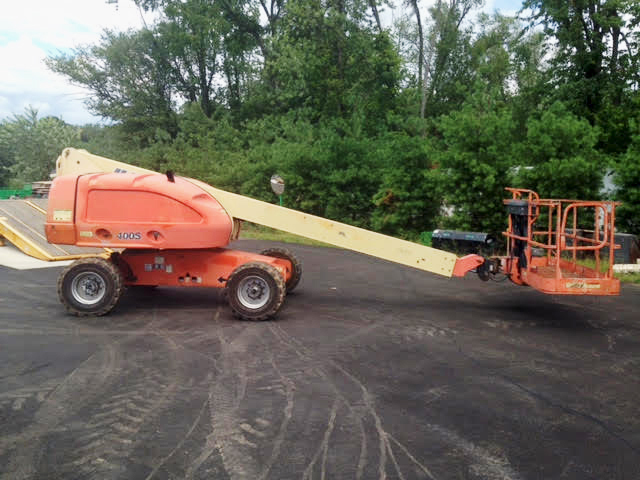 Richard W. from Pittsburgh, PA 15203 bought a JLG 600S boom lift said “Very smooth and tight operating machine. Never thought I could afford one. 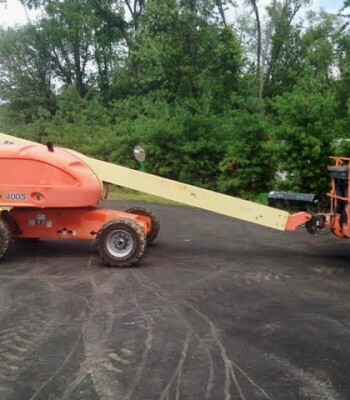 This is going to save me a ton of money on all the rental fees I have been paying”.